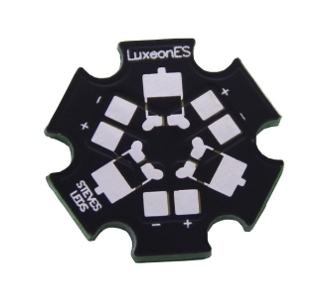 This star will allow you to have 3 Luxeon ES LEDs, your choice of color, on a single star, yet offers the flexibility of wiring each LED on a separate circuit. Choose any available Luxeon ES LED color available to make your own color combination. You will be able to control each color independently. Excellent quality, custom built star just for you, and NOBODY can beat our price. Lead time is usually only 1 day!